Visit www.bcsamerica.com for a complete listing of tractors, attachments and specifications. More than 2 million people in over 80 countries have discovered the advantages of owning Europe’s most popular two-wheel tractor. BCS tractors are built for decades of dependable service, outperforming and outlasting all brands of single-purpose, belt-driven, walk-behind equipment. Built to the same commercial standards as four-wheel farm tractors, BCS tackles the jobs that don’t suit four-wheel tractors: mowing slopes, maneuvering in small areas, intensive cultivation, sweeping walkways, and much more! BCS separates itself from the competition by using heat-treated and hardened steel shafts and gears, supported by ball bearings in oil bath. 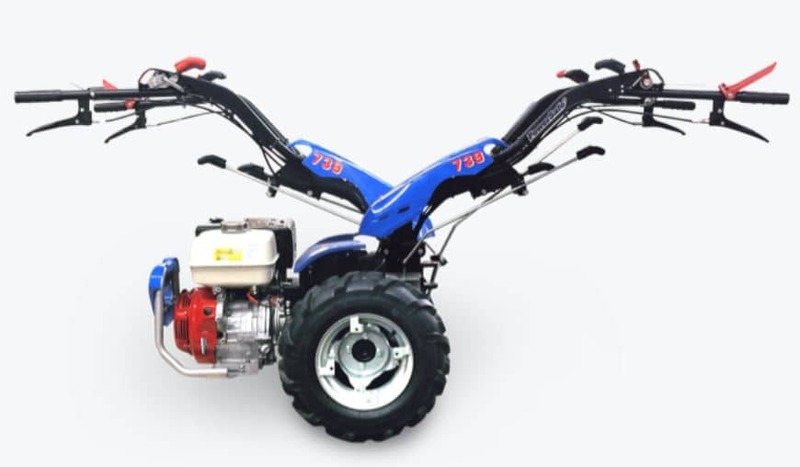 This not only provides extra durability, but enhances the machine’s performance by minimizing the loss of engine output during the transfer of power. 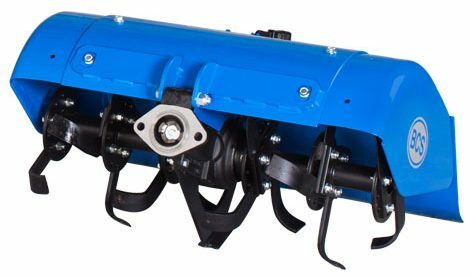 The BCS clutch controls the power to the wheels and PTO drive, absorbing rotational shock and protecting the drive train. 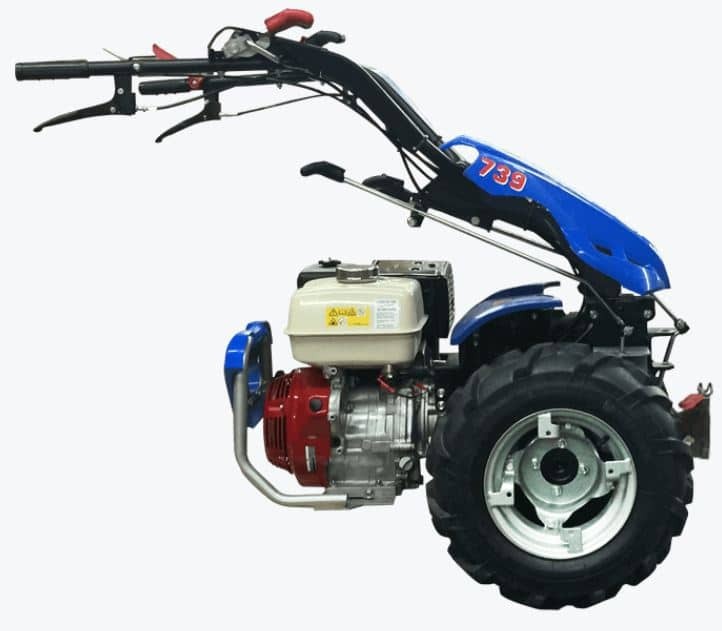 To shift gears, simply squeeze the clutch lever on the underside of the left handlebar and shift, then slowly release the lever as the tractor and implement engage. It’s very similar to a manual transmission car! BCS tiller tines rotate 50% faster than most other tillers on the market. 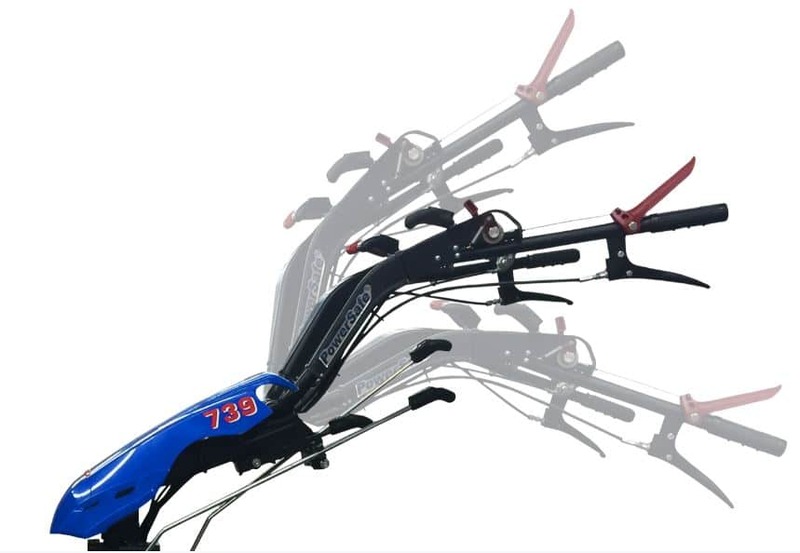 In first gear, the tines rotate 20 times for every turn of the drive wheel- this allows the tines to chop soil and plant material into fine pieces, providing a better growing environment for garden plants. The tiller box features a unique “planar wedge” or tilling wedge located under the tiller gear box. This wedge breaks up the soil under the gear box, providing a completely tilled area under the tiller box. Many competitive tillers leave a 2” to 3” untilled center strip. All BCS tractors have an independent power take off (PTO), allowing attachments to be turned on and off independently of the tractor wheels. 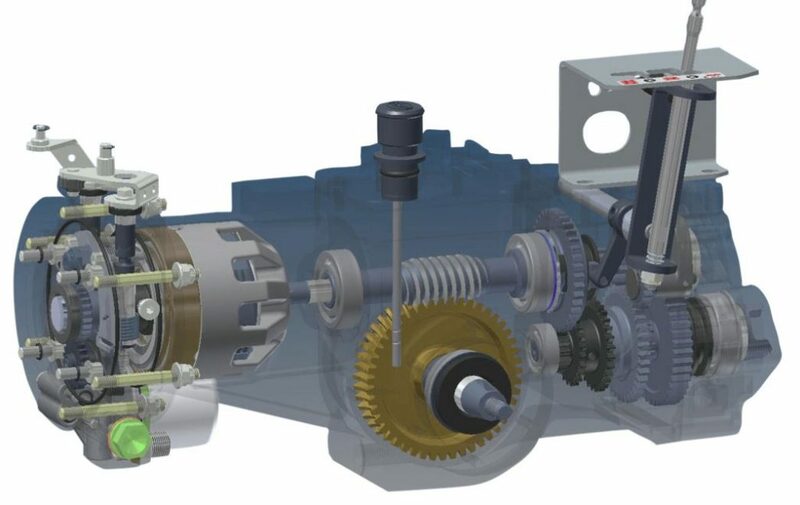 When mounted, BCS attachments interlock with the three jaws of the PTO shaft, and the engagement is internal to the oil bath tractor transmission. 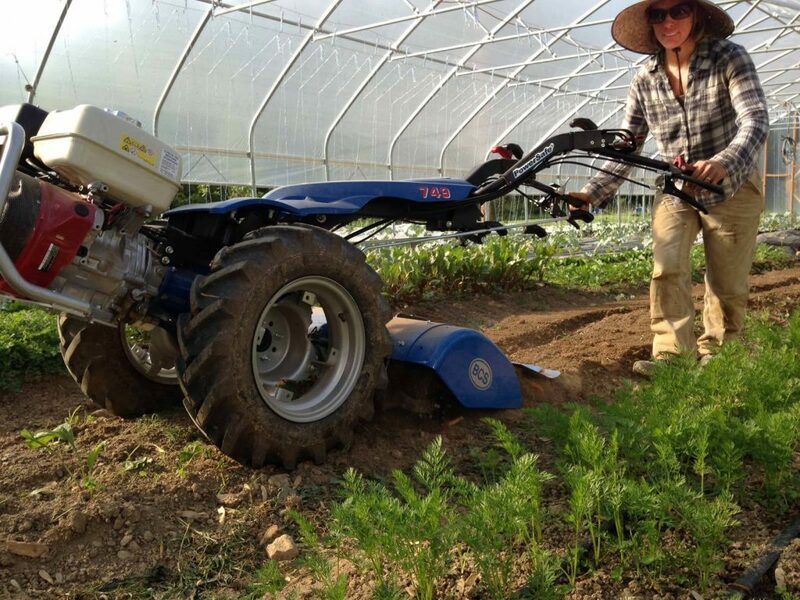 Perhaps BCS’s most distinct and unique feature is the simplicity of rotating the handlebars 180 degrees, which allows owners to easily transform their walk-behind tiller into a mower-ready machine. BCS’s anti-vibration handles are comfortable, easy to use, and extremely versatile. Six vertical height settings and side-to-side adjusting allows the operator to easily find an ideal height setting and the option to work from the side. All BCS tractors are engineered with a low center of gravity for better stability with all appropriate attachments. For example, when operating a tiller attachment, the weight is centered over the tines for consistent, uniform pressure. BCS tractors employ a full range of quality, high-performing engines. Gasoline options are available from Honda, Kohler, and Subaru (on model 710 only), ranging from 5.7 to 13 horsepower. 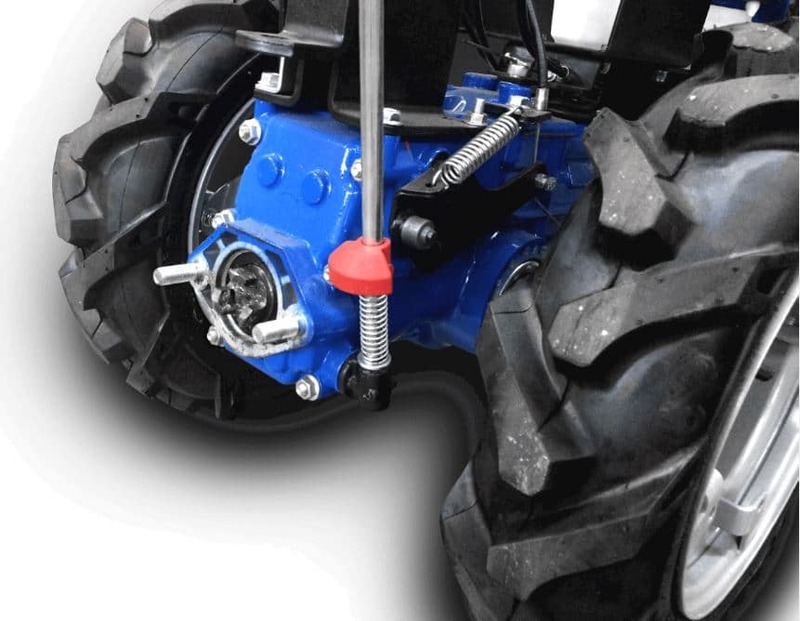 All Professional Series BCS tractors are equipped with Differential Drive with Lockout. Differentials provide maximum maneuverability by allowing one tractor wheel to turn independently of the other. 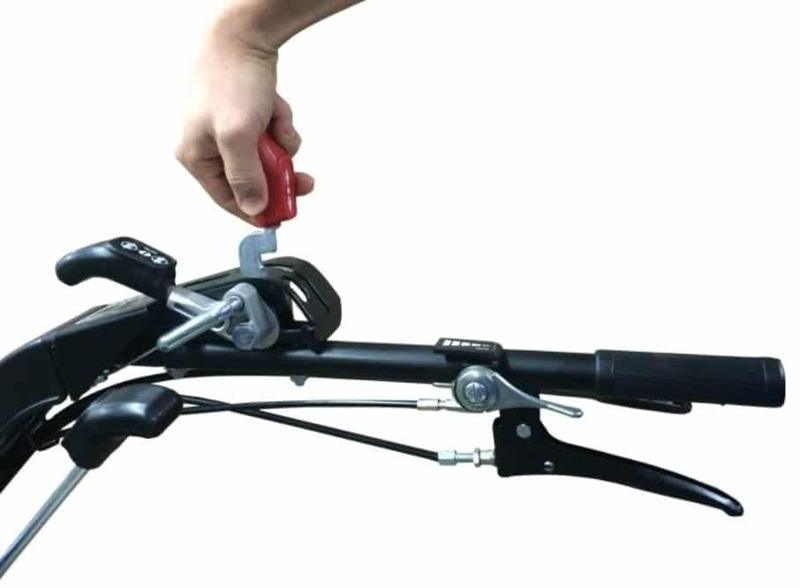 The black Lockout lever on the right handlebar locks the wheels into straight-axle mode for positive traction on steep slopes, soft soil, and other problem areas. When compressed, the red Operator Presence Control on the left handlebar of all BCS tractors keeps the tractor running. 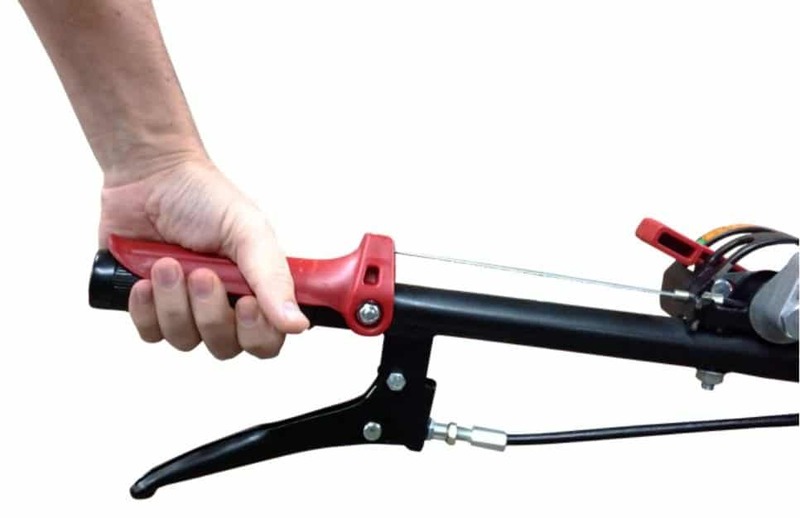 This assures a safe working condition for the operator and can be done with only one hand! Instantly reverse with this shuttle-type gear shifter. 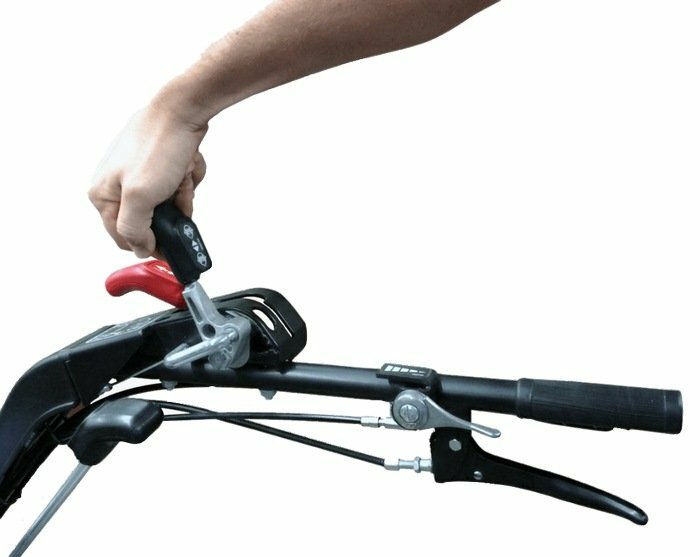 This red lever on the right handlebar allows for easier maneuvering and handling for the operator. Wenger Equipment LLC is your local BCS dealer for the Central WI area including the cities of Wausau, Merrill, Stevens Point, Marshfield, Stratford, Medford and more. We offer rentals and demonstrations for several BCS tractors and attachments so you can experience the performance and versatility of BCS tractors and attachments yourself. We offer two competitive financing options for BCS available through Yard Card. Click here for details. At Wenger Equipment we are committed to treating our customers the way we would want to be treated. We carry only high quality equipment from reputable manufacturers in order to give you a great value for your investment. Our goal is to help you select the equipment that will best fit your needs and keep that equipment running for years of dependable service. We have over 32 years of experience serving thousands of satisfied customers in the Central WI area. As an added benefit, when you purchase a new piece of equipment from us you’ll also get a $10 per hour discount off of our posted shop labor rate for all service and repairs for the life of the machine. Its just one way we say “thank you” to our valued customers.